See below for information about our prices for downloading documents. Do I have to buy credits to download documents? No, not necessarily. Some documents for free. Some of the free documents are however reserved for those who've registered with a council or housing association email address. Credits are however needed to download some of the documents that are reserved for council and housing association workers. Does it cost to create an account? No. You can create an account for free by clicking on 'Sign Up' in the top right hand corner of the webpage. If you're a council or housing association employee you will need to wait for an email confirming that your council/HA status has been approved. When your status has been approved you'll be able to access documents that are reserved for local authority and housing association staff. See 'Why Create An Account?' for more details about creating an account. Which documents do I need credits to download? All letters for members of the public (eg homeless or social housing applicants) are free. If you work for a local authority or social landlord some documents are free while others require you to buy credits to download. received an email from us confirming your 'Approved User' status. How must do documents cost? Each of the 'paid for' documents cost a certain number of credits. You can check how many credits a particular document costs (or whether it's free) by going to the specific webpage for that document. The cost of credits is given on the webpage for the specific document. It depends on the payment option you choose. Credits cost less the more you buy. I want to buy several documents. Is there a cheaper way of downloading them? Yes. 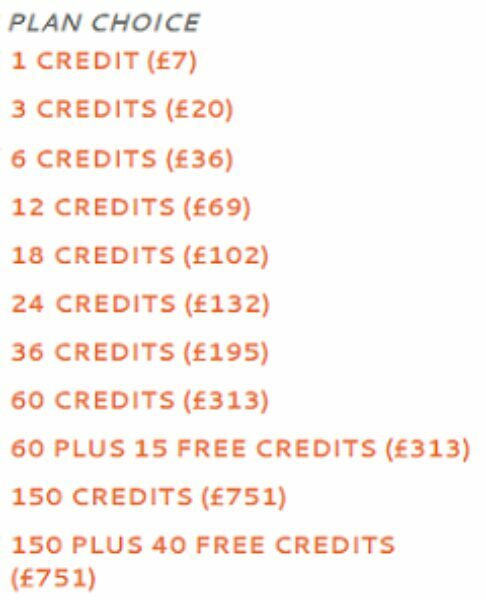 If you buy more credits they cost less.